As result of thirty years of tribal conflict and famine in Karamojaland, the women have taken the initiative, and started an alternative method of survival. ‘HUMANITY EXPLORED’, an On-line Film Festival at culture unplugged, Jan 2013. ‘Dokubazaar Independent Documentary Film Festival’, Ljubljana, Slovenia, Sept 2011. 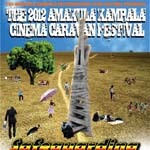 ‘Baby International Film Festival’, Kampala, Uganda, May 2010. “Admirable and beautiful – I love the use of animation”. Most recently the film Karamoja Faces has been dubbed into Dutch, for school in Holland to understand some of the difficulties African children face. IOM (International Organisation for Migration) has shown the film on large outdoor blow-up screens across Karamojaland. UNICEF are utilising the film for its specific target of helping the street children in Kampala. Other NGO’s using the film include OXFAM, Save the Children, C&D, DED, and a number of local Ugandan NGO’s. As a result of 30 years of tribal conflict and famine, the women of Karamojaland have started to traffic children to the city for begging in order to survive. Described by the City Council of Kampala as the ‘Karamoja Phenomenon’, the Government of Uganda and UNICEF estimates up to 2500 Karamojong are on the streets – of which 90% are women with small children. This documentary film follows the story of Lucia with her children in Kampala, and their return to Karamojaland. We talk to the City Council in Kampala, the MP for central Karamojaland, elders from the village and let the women who are trafficking the children justify themselves. The children have their say in the form of an animated story, which runs parallel to the real-life film. 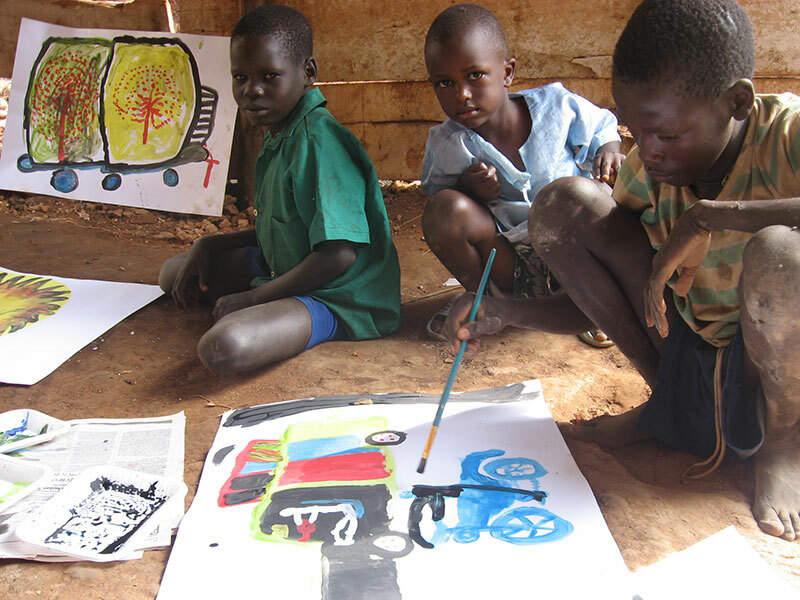 Animated pictures and story boards were created by Karamojong children from Kisenyi Ghetto, Kampala. This is an educational short film for children. 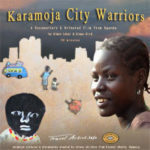 It was created from the animated sections of Karamoja City Warriors and is designed for children ages 5 to 13. The whole project was designed to cost as little as possible, to demonstrate that film and animation can be an affordable method of communication for minority tribes. We realised it was not necessary to shoot in HD or widescreen, as our target audience in East Africa mostly have the old style (4:3) television sets. Despite initial reticence towards filming, the Karamojong of Kisenyi Ghetto quickly realised the film would help to raise their profile, and dispel the idea they are a backward tribe. We found the main character after two weeks of research. Her name was Lucia, and I saw that she was perfect for the documentary, because she had never been to the city, but could express herself freely and with confidence. She was twenty years old, and had borrowed two children from another family to beg on the street, despite this, however, she seemed to be a typical, honest and caring mother. For the animation, we made sure the camera had a stop-motion facility, as this would give the street children the chance to see instant results from their work. By organising painting workshops under a shelter in the ghetto we could let the children express themselves more easily than with straight interviews. Then, by simply cutting the pictures out and moving them bit by bit, we could assemble the animation without too much technical difficulty. Most of the animation was created from rubbish found in the ghetto. Bringing the warrior to life in the Ghetto. Painting the pictures for the animated street scenes. 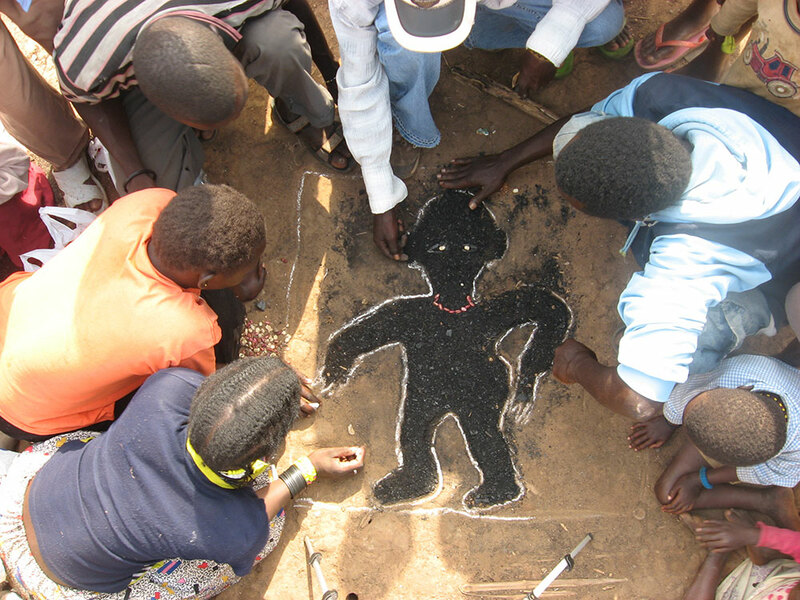 Wall painting animating in Karamojaland. 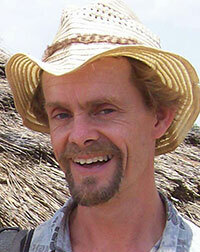 Simon is a painter, writer, and film maker, who specializes in working with minority tribes. He uses art as a means to address social issues, and lets the local people tell their own stories. He has worked with the Karamojong for three years, setting up arts based development programs, holding craft workshops and conducting research. Simon Lokai has lived in Kisenyi Ghetto for seven years, and has worked for two of those with the NGO Dwelling Places, and three with Simon Bird as assistant film maker. In 2007 he started a business initiative called Karamoja Design, employing the street women to make traditional Karamojong jewellery instead of taking their children to beg. Mr Lokai is also a talented singer/song writer, and all the sound tracks for the animation are from his first album Da Forgotten Warriors – promoting peace and unity in Karamojaland. 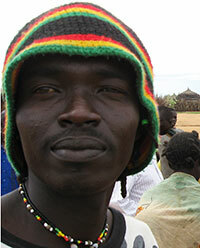 He is now stationed in Turkana, Kenya.